While Upper Street in Angel might be classed as ‘Restaurant Mile’, it does lack good independent cafes. Yes, there are a few, but you get the feeling that no matter how many cups of flat white you sell, it just wouldn’t be enough to pay for premium rents. 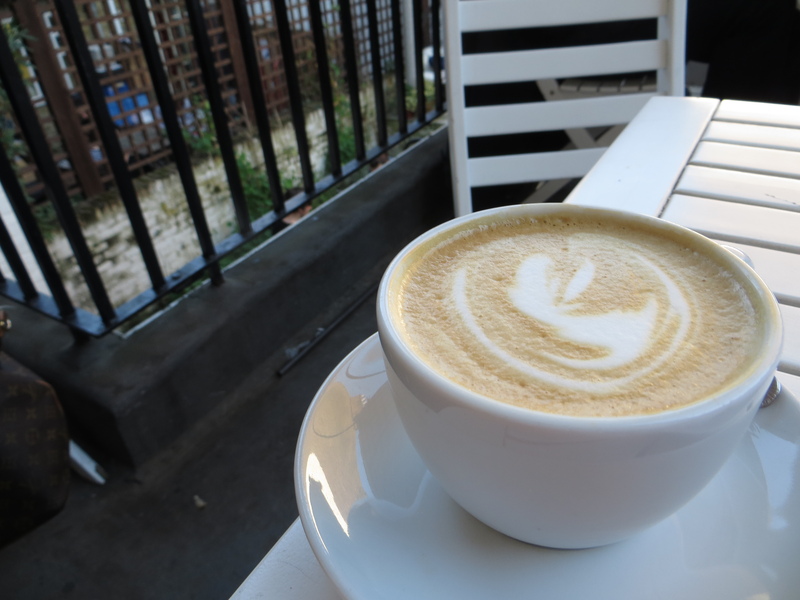 So many of the area’s great cafes are tucked away on side street or in its surrounding areas. One such side street in Camden Passage, which is full of quirky antique stores, high-end restaurants and a number of new cafes including the ice cream café Zucono. It feels like a bit of a cheat to serve Monmouth Coffee. Everyone knows it is a good cup and loads of places are choosing it now. Not that I’m complaining. It’s a nice, smooth cup with plenty of depth of flavour and not much acidity. There’s no really much I can say about it that hasn’t already been said except they don’t mess it up here. Enjoy! Another case of inside versus outside. Inside, this is a fairly standard café. 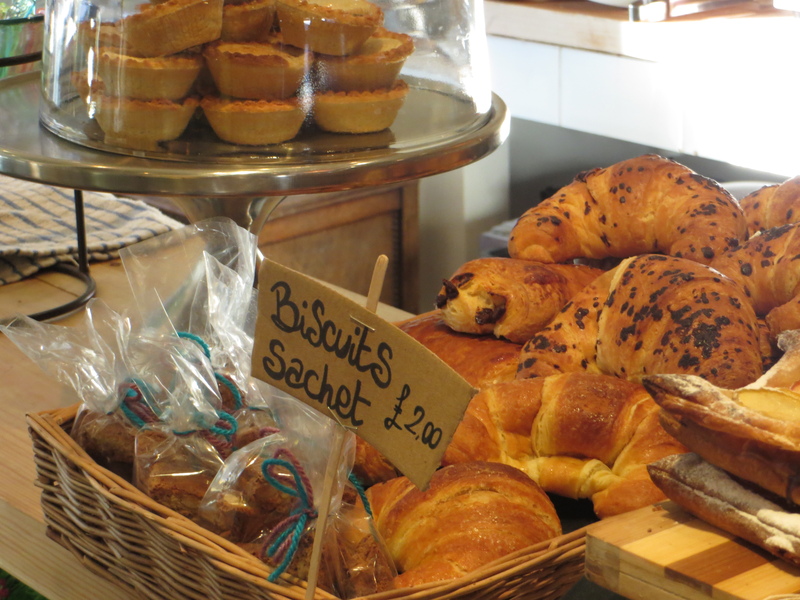 Nicely decorated in muted colours, with food and drinks menu scribbled on brown paper and a display of nice looking baked goods. But it is quite small and seating is limited to high stools. 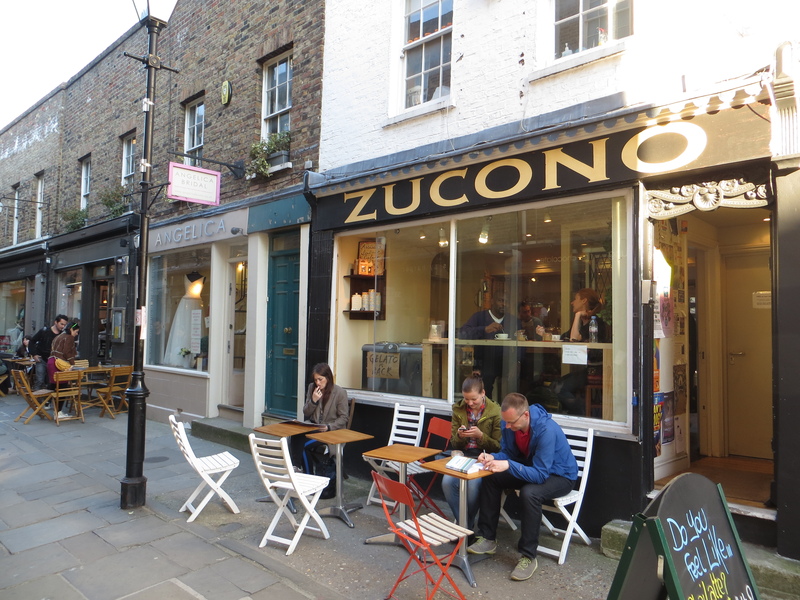 However, Zucono not only has outside seating on the front, where you can watch the world go by on Camden Passage, but also a quaint little garden. 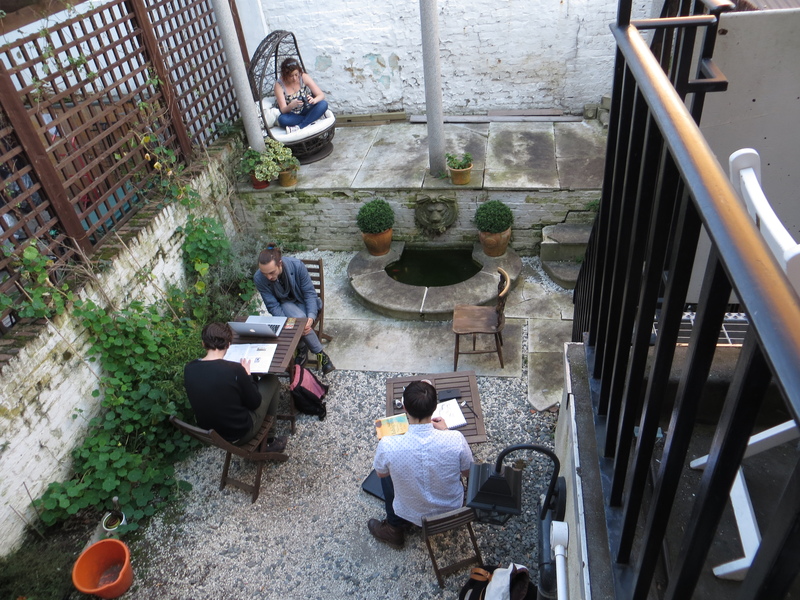 Down some steps and you’re into a little courtyard with a few tables, a big comfy garden chair and a fountain. This is going to get pretty busy in the summer but is a great use of the space. It does serve some baked goods but it’s all about the ice cream here. It’s fairly expensive ranging from £4.50 for a small cup or cone to £6 for a large, but it is all homemade. Quick and polite. Some waiting at the counter for my coffee, but not so much as to make a difference. Not much really. I guess it is too small to hold events. The ice-cream, magazines and free Wifi was the best they could offer. These guys are fairy new so in the future I’d like to see something like ice cream making classes or outside music. In summer, with its outside space and homemade ice cream, this place is going to be the place to be. It’s played it safe on the coffee front serving Monmouth, but who can blame them with such a tasty cup. Thanks for the review, but I am afraid Zucono is no more. I set up this shop because I wanted a good place for coffee while I was living in Angel, but now I have moved and I have no reason to keep it running. A new independent hairdresser is coming.